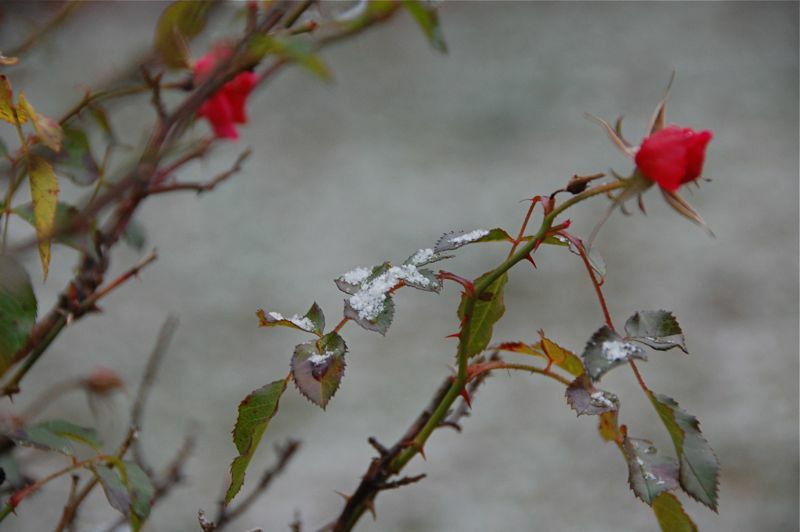 The day after I took the photo of the final roses of the season it snowed. We've had snow showers a couple of times already this autumn. I'd like to protect the roses so they last a bit longer but I guess I must let nature take its course. That's really pretty, I love the bright flowers against the stark gray background.